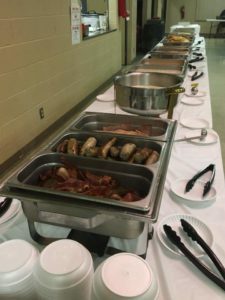 The Topton Volunteer Fire Company hosts a Fireman’s Breakfast Buffet on the 4th Sunday of every month from September through April (no breakfast in December). Breakfast is available from 7:00am to 12:00pm. The cost per person is $8.00/adult and $4.00/child ages 4-12. Children under age 4 are free. Credit cards are now accepted! Coffee, Tea, Milk, Chocolate Milk, Orange Juice, Water and Juice are also available. For more information contact us or call 610-682-7600 and leave a message.